The late ‘80s and early ’90s was a time of great technological change, ushering in the digital-era and bringing with it exciting new possibilities. Over the years a legion of digital synthesizers appeared from all across the world, reforming the very idea of what a keyboard could do. Equipped with new and innovative synthesis techniques, these machines would forever change our sonic landscape and lay the groundwork for the modern software instruments and effects that we use today. 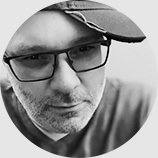 Digital Synsations Volume 2 is the next step in our journey to revisit and preserve these revolutionaries, exploring the capabilities and unique character of 3 digital synths from the ‘90s. 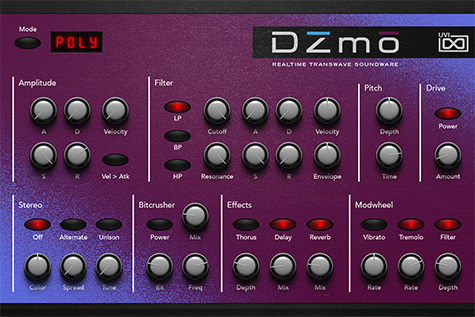 The influx of new synthesis techniques gave way to many phenomenal and unique synthesizers. In fact, so many were released in such a short time that a number of truly great keyboards were lost to the spotlight. It’s a passion of ours to unearth and explore these gems, as they each have a truly unique signature and many of them are becoming lost to time. We’re both proud and excited to share these sonic treasures with you. For some they will be a reunion, for others they will be completely new, in both cases we look forward to hearing their voices come alive as music once again. 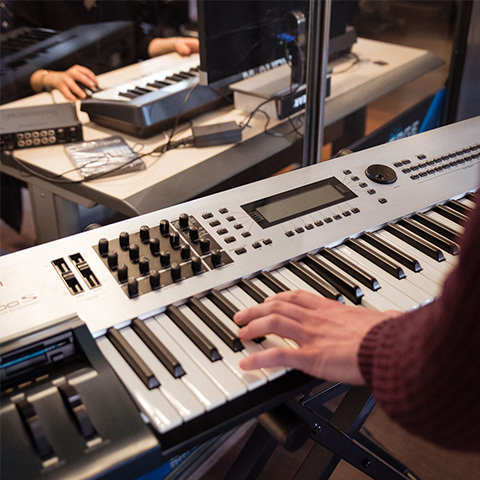 With a deep understanding of the unique qualities of these machines, both their synthesis techniques and signal paths, our sound designers were able to draw out the aural signatures of each synth, designing a library of patches that clearly resound with the soul of each keyboard. 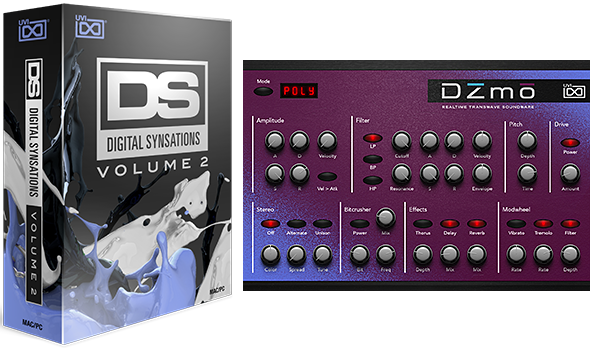 These sounds formed the foundation of DS Volume 2. 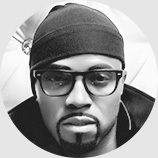 Over 20,000 professionally recorded samples used across 500 presets deliver the authentic sounds and vintage digital character of these synths. 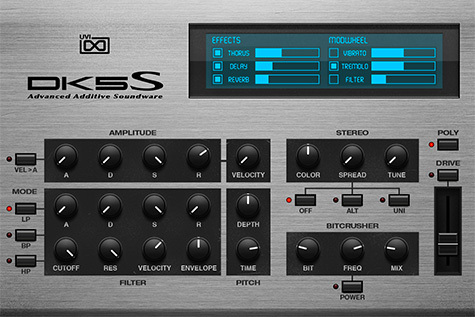 Now you can explore, tweak and edit these classic synths with all the conveniences of a modern software instrument in your DAW of choice. 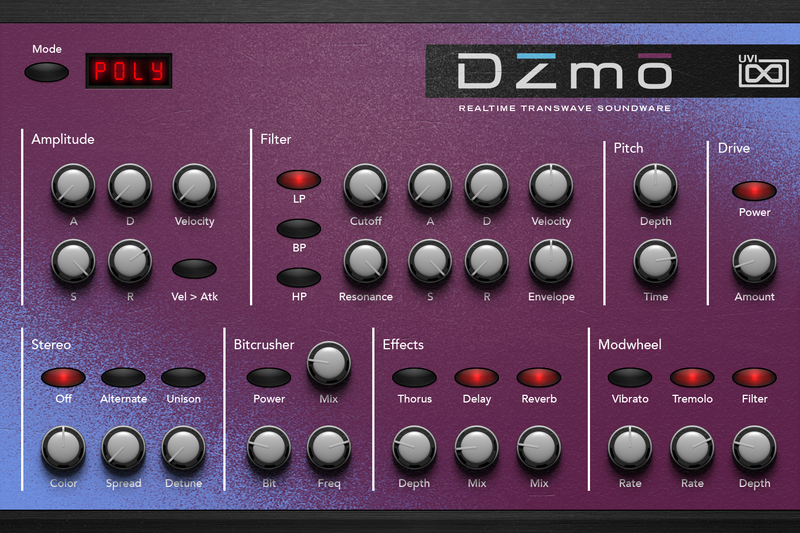 A true dark horse, this synth made exceptional use of what’s known as “transwave synthesis”. The savoir-faire of its creators reached its apex with this synth - in fact, it was their last effort before the American company went out of business. While it was heavily criticized upon its release for apparent shortcomings that didn't match up to its competitors, a small group of savvy users embraced them. With an original production of less than 2,000 units they garnered somewhat of a cult status. 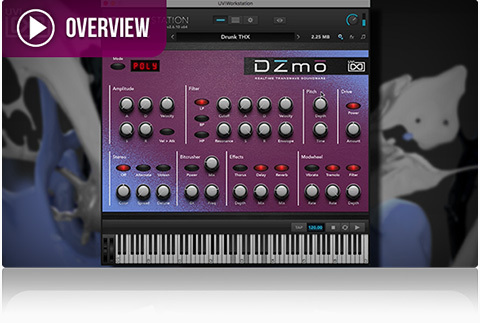 For DZmo we pushed the boundaries of what this keyboard could do, delving into deep and very personal timbres and taking it a step further with the UVI Engine, creating electrifying and hypnotic patches capturing the soul of the original hardware. One of the very few machines of its time to utilize additive synthesis, and to combine it with PCM streams, this keyboard was and remains a singular piece of hardware. Perhaps on account of being marketed for its workstation capabilities instead of its luxurious sound quality, this synth saw a sadly limited production run before being discontinued by its Japanese manufacturers. Digging deep into this machines digital engine we were able to create truly wild tones, from crisp and edgy leads to rich pads and surreal harmonic washes. 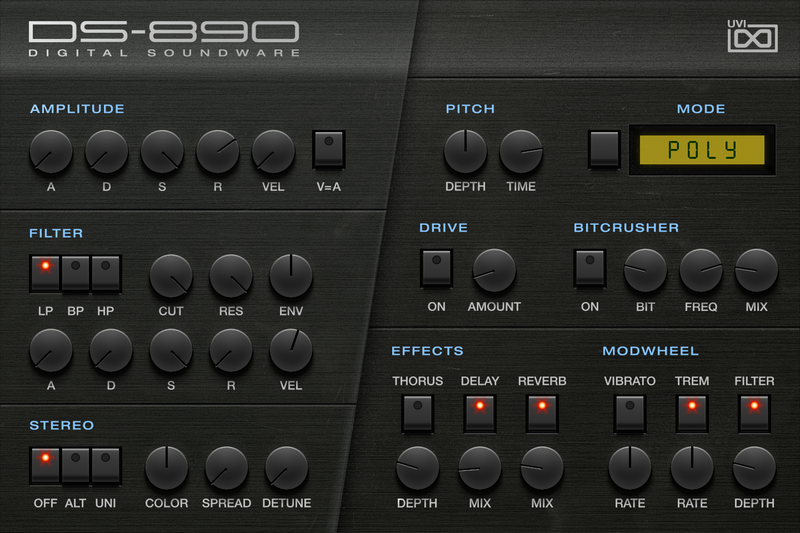 A Jedi of 90's synthesizers, this instrument is actually a union of two celebrated Japanese sister-machines. 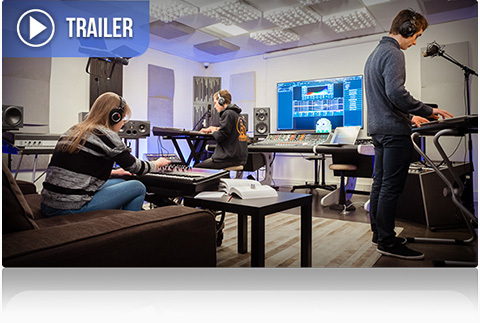 Here we combine the best of both worlds, utilizing the keyboard unit as well as its module counterpart. 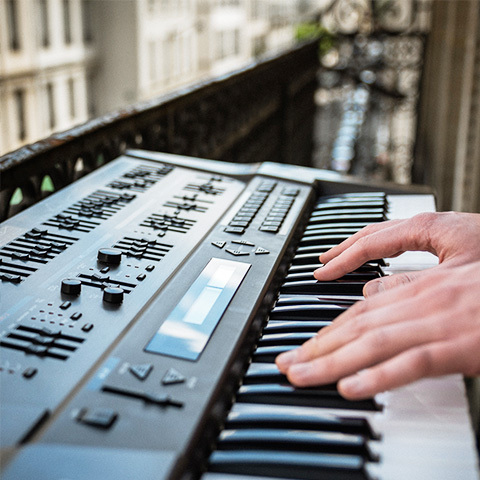 Used on countless hit records these synths were embraced by artists such as Emerson Lake & Palmer, Depeche Mode, Laurent Garnier, the Prodigy and more. The original hardware was one of the first digital synths to re-introduce multimode filters, and its ability to stack and tweak patches and samples gave these machines a level of flexibility seldom matched. 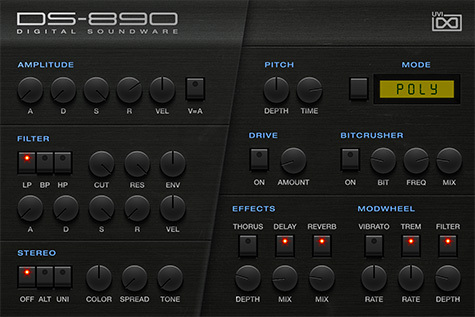 Capturing its rich analog-like warmth, DS-890 delivers a fresh palette of powerhouse sounds - covering the gamut from thick and meaty basses to sizzling leads. 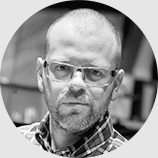 Roland, JD800, JD990, Kawai, K5000S, Ensoniq and Fizmo are trademarks of their respective owners. UVI is not affiliated or endorsed by any entities listed here.